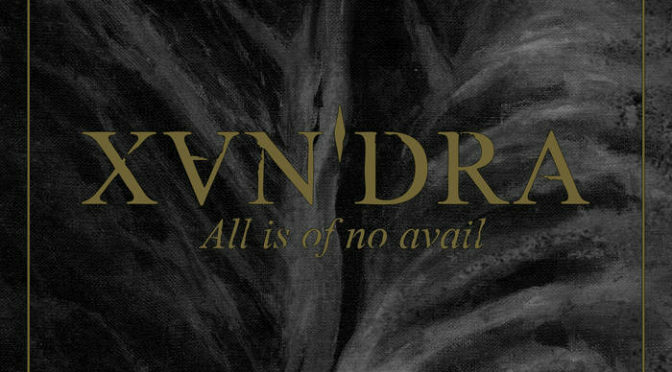 It’s not a huge offering of music, but ‘All is of No Avail’ leaves you fulfilled anyways. The Belarussian duo Khandra drops this first EP, but apart from that, there’s virtually no information available about this band from Minsk. This is a bit of a shame because these 2 songs are one of the most powerful declarations I’ve heard in a while. In a sense, this record is Khandra saying that they’re here, but not who they are and why. Well, you can’t have it all and this sort of music thrives on mystery. We start with ‘Where Death Has Settled In Life’, which comes on with the big, echoing sound that I always appreciate so much in a band like Primordial. The bold statement of the grand gesture to announce starting the rites. That’s just before the band completely unleashes a barrage of sound. Like the heavens opening, the sound falls onto the listener. There’s a sense of vibrancy, of writhing guitars that almost feel alive and impossible to grasp. The sound is densely atmospheric at other moments and very easy to digest. The melody line grabs you by the throat on ‘Presence is no longer relevant’, while you bask in the warm bath of sound. Again, there’s a certain grandeur to the way the sound unfolds. The mix and recording of this record are of an amazing quality, yielding a crisp and polished sound. That’s even more charming actually because the grim necrosound would wreck all the subtleties in the music. This song has a lot of these clean melody parts, which makes it almost catchy. Music to embrace in the colder days, when will there be more? The band Dymna Lotva hails from Belarus, a country with a long history and traditions. They might have been obscured in the times of the Soviet occupation and maybe still under the rule of Lukashenko. 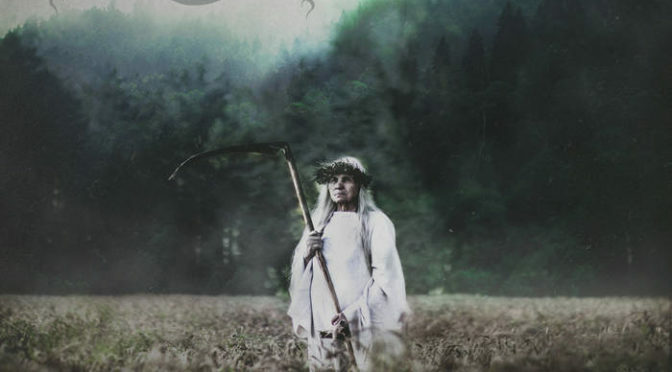 Belarus has a rich and fertile soil for re-enactment, folk music and densely atmospheric projects like the DSBM band Dymna Lotva. The group has been around since 2015 but hasn’t taken the time to relax since their inception. The band appears to revolve around their singer Ekaterina Mankevich (stage name Nokt), who writes the lyrics and is the person appearing on the press pictures. The themes the band applies to their music are nature, folklore, and sorrow, which is tangible from the artwork already. The gentle flutes play a haunting melody. A low piping accompanies the melody, offering slow bass lines until the piano starts playing. The atmosphere grabs you immediately, with a sound filled with melancholy and darkness. The careful introduction brings us to the windswept planes of Belarus in ancient times, when the sinister voice of singer Nokt starts luring you in. Her voice can be beautiful as much as frightning in its cold beauty. Intricate melodies are woven through the songs, that truly hold to the depressive, atmospheric black metal vibe. Slow, lingering guitar passages are like a swamp to sink away in on ‘Willothewisp’. At the same time the running piano steps are seducing you to look further. Dymna Lotva seems to use quite some synths to achieve the overwhelming, smothering sound that they produce. Sometimes the sound is a bit too polished, a little too much to handle. It’s a hard balance to find and really a personal listening experience. Next to the high pitched screams of Nokt, the growls on ‘Requim’ by Andrew Tomak from Apologeth seem unnecessary. The two singers don’t add, but just double up in a sense. Ambient sounds fill up the voids in songs and the traditional instruments give an ethnic feel to the music of these Belarusians. A fascinating record for sure. Folky with a bit of dungeon synth, in conclusion this is a joy to listen to. Welcome to Stranger Aeons. A blog about music, travels, opinions and other things that matter. All work is my own, if not I strive to mention it. These are stranger aeons we live in.